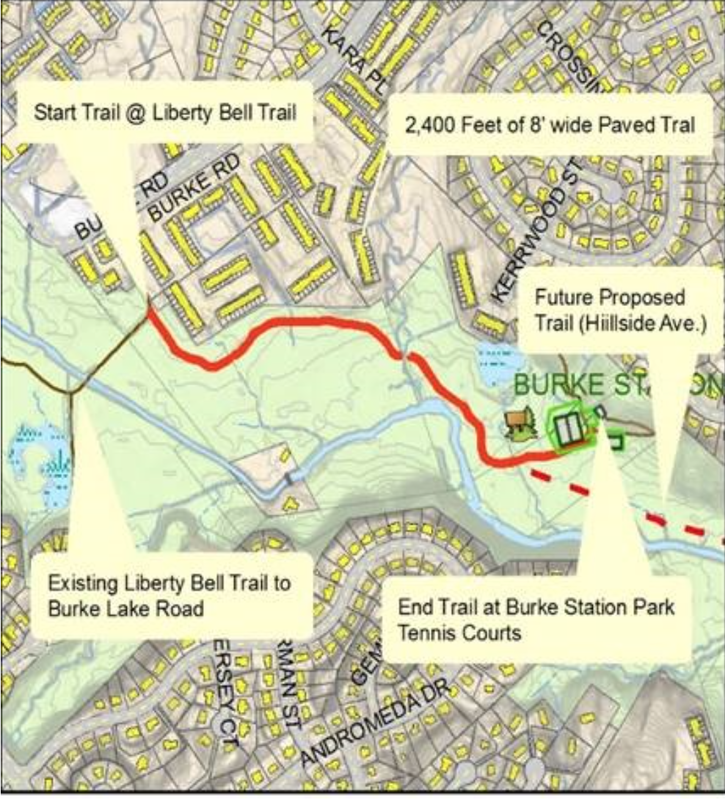 Starting next month riders in the Burke Station area should be alert for work on the Pohick Stream Valley Trail, according to the Fairfax County Park Authority. The FCPA warns that the project may impact parking and access to trails. The improvements will consist of approximately 2,400 linear feet of 8-foot wide paved trail, landscaping, and a new prefabricated fiberglass pedestrian bridge. Work at the site will continue through this fall and completion is anticipated prior to spring 2019. Construction access to the site will be from the park entrances on Kerrwood Street and Burke Road. Parking restrictions near these entrances are anticipated in order to facilitate the passage of construction materials and equipment. 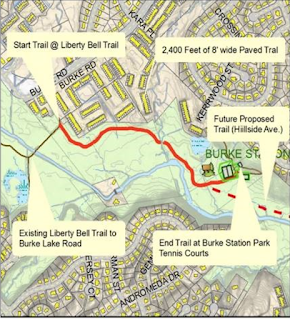 In addition, construction equipment will be present on the trail in Pohick Stream Valley Park during construction. As a safety precaution, portions of the existing trail may be occasionally closed to users during the project. For more information, please visit the Trails page or contact Project Manager Tom McFarland at Thomas.McFarland@fairfaxcounty.gov or 703-324-8688.